NURTURE THE NATURE IN YOUR CHILD! The school year can be a busy and stressful time, not just for the parents, but the kids as well! Establishing a nature connection is crucial for the development of a healthy, well-balanced child. Nature is the place where children naturally thrive. Their sensory awareness is enhanced, their physical ability and agility is improved, their concentration and cognitive ability increases and their creative imagination is stimulated. Nature is the foundation for an infinite learning experience. Yet, more and more, the average child spends increasingly less time connecting to nature. Research has proven time and again how beneficial nature is to children's development, but also how a disconnect can be detrimental to their overall wellness and development. It is time to get your children outside in nature! In this once-a-month program, we will gather in a one of our local parks and learn the skills of the naturalist and of wilderness survival. Each program will take your child on a journey that will deepen their connection to nature, inspire their natural curiosity, and teach them skills that could one day keep them alive. The teachings will be inspired by the season and what it has to teach us, from wild edibles, natural shelters, friction fire making, earth-based utilitarian crafts and tool making, tracking, bird language, lost proofing, and more. Your child will learn more about their natural environment, create relationships with our local plants and trees, and learn more about the animals that we share this world with. We will teach techniques and play games that will increase their sensory experience. We will share stories from around the world that will inspire a sense of stewardship for the earth. All of these teachings will help to expand their natural curiosity to a higher level of awareness of their surroundings and a loving respect for the earth. With our small teacher-student ratio of 1:8, we can ensure to provide your child with both the best quality nature education and also safety in the outdoors. 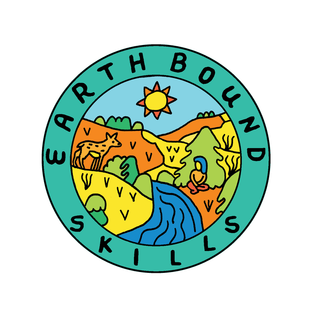 EARTH SCOUTS 2017-2018 HAS BEEN CANCELED DUE TO LOW ENROLLMENT. IF YOU WOULD LIKE US CONSIDER RUNNING THIS PROGRAM AGAIN IN THE FUTURE, PLEASE contact us.